Posted by Administrator on July 10, 2018. It is accepted as factual by many, although some consider it more folklore, that Rugby became a sport in its own right when a certain young student at Rugby School in England named William Webb Ellis picked up a football during a match and ran with it, way back in 1823. Had it not been for this rebellious act brought about by frustration and suppressed aggression, there may have never been Rugby. The game gained popularity at its birthplace, was adopted by other schools and its rules were adapted by many over some years to accommodate different circumstances, until the first set of written laws were duly written at Rugby School in 1845. 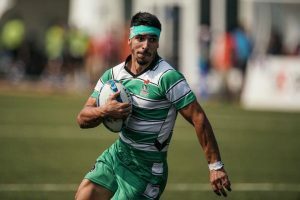 Having spread quite greatly in England and Great Britain, Rugby began to also gain popularity abroad and we look at the historic highlights and first Rugby matches ever played in different countries. France: Rugby was introduced by the British to France as early as the 1870s, predominantly in Le Havre in Normandy. 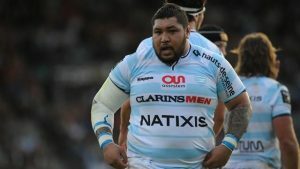 The first Rugby Club formed was Le Havre Athletique in 1872, with early other early historic clubs being The English Taylors RFC (1877), Paris Football Club (1878), Racing de France (1882) and Stade Francais (1883). Australia: The first formal Rugby football club was formed at Sydney University in 1863 and in 1869, Newington College was the first school to play a Rugby match against the University of Sydney. The game eventually spread outside of Sydney and New South Wales, into Queensland and the first inter-colonial game was played in 1882 in Sydney where NSW defeated Queensland 28-4. 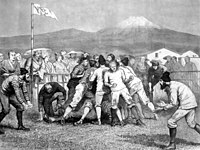 New Zealand: The first recorded game of Rugby in New Zealand was played on 14 May 1870 at The Botanics in Nelson where Nelson College played Nelson Football Club. The game had been organized by Charles Monro of Nelson Football Club and the Rev. 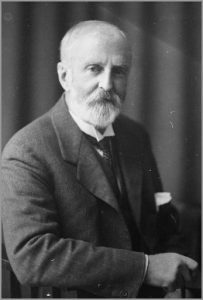 F. C. Simmons who was the Headmaster at Nelson College. Both had previously played at Rugby School in England. The match was played with 18 players per team and was won by Nelson Football Club, 2-0. South Africa: A hybrid game of football which included handling was introduced at Diocesan College in Cape Town in 1861, based on the football rules of Winchester College, England. The first “Winchester Football” game between Army and Civil Service was played on 23 August 1862 and ended in a nil-all draw but it would only be in 1875 that a formal Rugby club (Hamilton) was formed at Sea Point, Cape Town. Japan: Introduced by US and European visitors during the period of “gunboat diplomacy”, the first recorded Rugby game was played in Japan in 1866 with the founding of the Yokohama Foot Ball Club. Most games were internal Club affairs played on the Garrison Parade Ground by British military personnel. 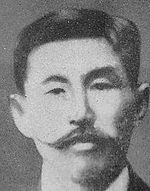 It was only in 1899 at Keio University that local Japanese began to be introduced to the game and in 1901, Keio University lost 35-5 to “Yokohama Foreigners” in a game that, for its time, demonstrated how Rugby could break down racial barriers in sport. Argentina: The first hybrid Football-Rugby game played in Argentina in 1873 at the Buenos Aires Cricket Club. The first ever recorded Rugby game played was between Buenos Aires F.C. and Rosario A.C. on 29 June 1886, with sole try scorer A. Dickerson getting the points to give Rosario the win, 3-0. 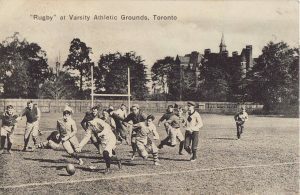 Canada: F. Barlow Cumberland and Fred A. Bethune first codified rules for Rugby in Canada in 1865 at Trinity College, Toronto, although different variations of Football-Rugby had been played since the 1820s in eastern Canada where the dominant British settlers had inhabited towns such as Halifax and Nova Scotia. 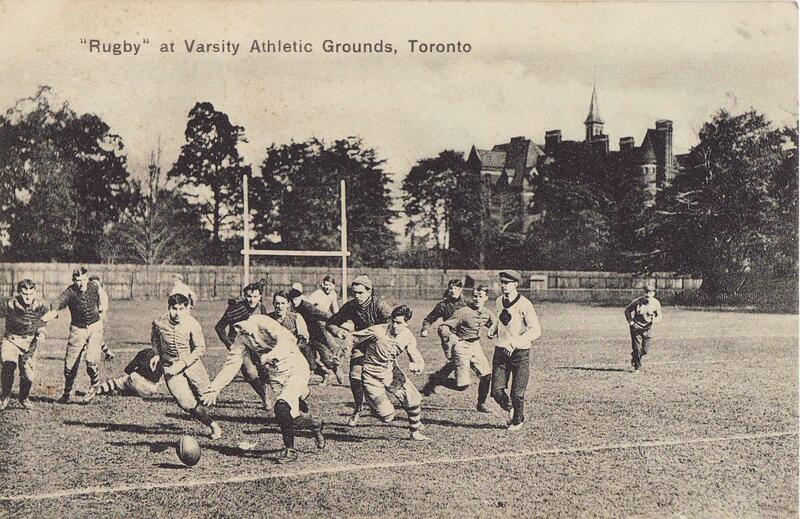 The first recorded proper Rugby game was played in Canada in 1864 amongst British military men stationed in Montreal. 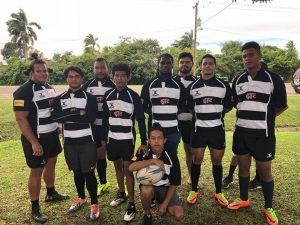 Fiji: Introduced to the Fiji Islands around the early 1880s, Rugby was played initially by British, New Zealand and Fijian soldiers stationed on Viti Levu. By 1904, segregated competitions were already being organized and in 1913, the first formal club (Pacific) was formed by P.J. Sheehan. The New Zealand All Blacks played against Fiji that same year on their way back from California, beating the home side 67-3. By 1915, local clubs Taipou, Tarirere, Hill and Ofisa had been established and were in a competition of their own with Tarirere taking out the first Championship of the Davies Cup. USA: Rugby and Football-Rugby variants had been played in the USA since the 1840s, especially in East Coast Universities such as Harvard, Yale and Princeton. Most variants were largely “mob” style games and were deemed so violent that Yale banned all forms of “football” in 1860, with Harvard following suit the next year. After taking firm hold in other Ivy League universities, and after some serious codification, the first recorded Rugby match proper was played between Harvard Crimson and McGill Redmen on 15 May 1874 and ended in a nil-all draw. Sri Lanka: Rugby was introduced to Sri Lanka (formerly known as Ceylon) in 1879, with the establishment of the Colombo Football Club. The first internal game of Rugby was played on 30 June that year between Colombo and a “World” Team. The first ever club game played was on 7 September 1880 between Dickoya MCC and Dimbulla ACC at Darawella, where Dickoya came out the victors 9-3.